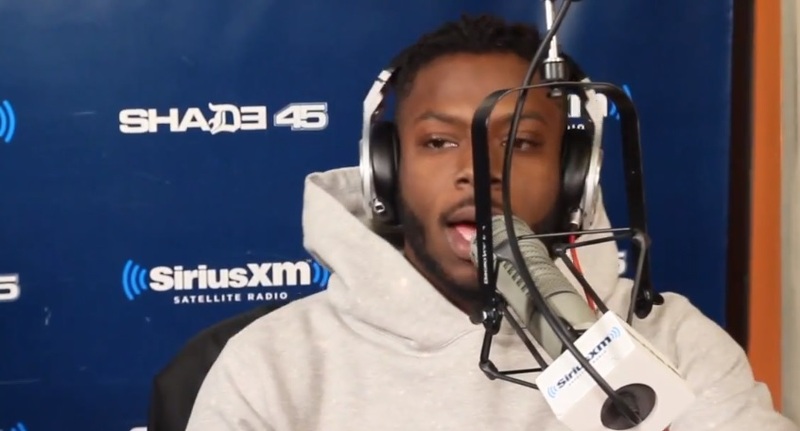 Isaiah Rashad is currently on a promotional run to get his buzz up before the release of his debut mixtape, Cilvia, which is due to hit the net by the end of December. Stopping by Shade 45 radio to speak with Sway Calloway and Heather B, Rashad decides to partake in a little freestyle action. With DJ Wonder on the turntables, Calloway gives the Chattanoga emcee the green light to drop some rhymes over a number of instrumentals. Check out how it all went down. This entry was posted in In The Studio, Miscallenous, Video and tagged dj wonder, freestyle, heather b, isaiah rashad, Shade 45, sirius radio, sway in the morning, TDE. Bookmark the permalink.